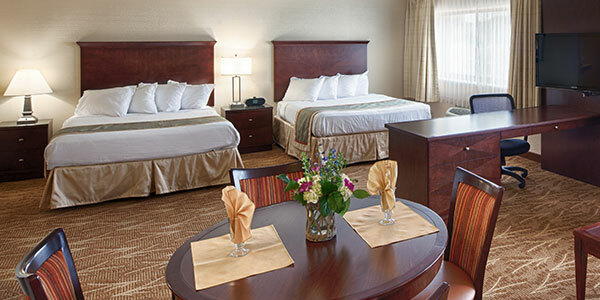 Surround yourself with the comforts of home when you stay at our hotel near the Mayo Clinic. Freshly renovated with modern décor, all of our 271 rooms and suites feature a relaxing atmosphere to unwind and recharge. Kahler Inn & Suites is equipped for family living and extended stays in Rochester, MN, providing each guest with thoughtful amenities. 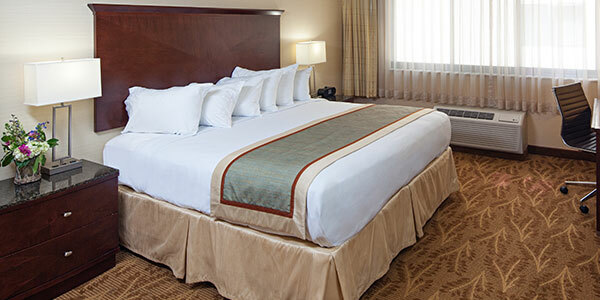 Sink into a plush bed fitted with a triple-sheet bedding system. 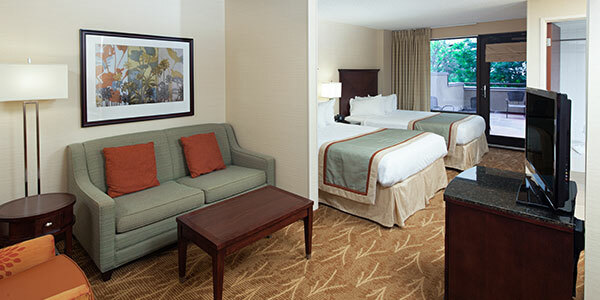 Kick back in front of the flat-screen TVs with premium cable channels, and stay connected with our free Wi-Fi. Rise and shine for a complimentary hot breakfast to keep you energized throughout the day. 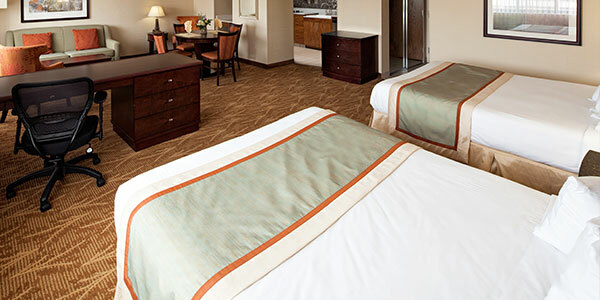 All rooms come furnished with a refrigerator, so feel free to store your favorite beverages and snacks. Our spacious suites feature kitchenettes, a separate living area, and dining table, with some offering a balcony to step out on. 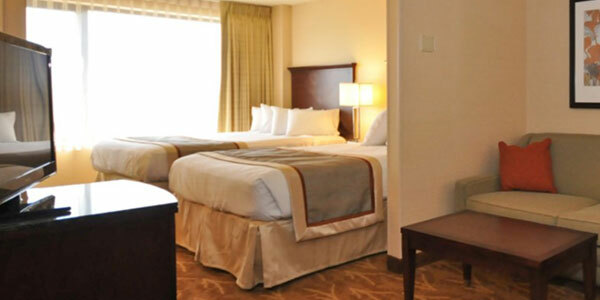 With a convenient downtown location and thoughtful amenities, let the Kahler Inn & Suites offer you a home away from home while visiting for business or leisure stays. 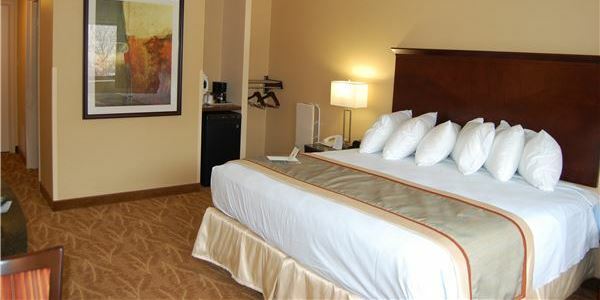 Settle in to a king or queen bed and enjoy thoughtful amenities that include a flat-screen TV, workstation, free Wi-Fi, and a mini-fridge. Perfect for families, recharge in this spacious suite fitted with two plush double beds, a separate living area with sofa bed, flat-screen TV, free Wi-Fi, and a microwave and mini-fridge. Gaze out over the pool and hot tub area from this comfortable suite featuring two double beds, sofa sleeper, and a kitchenette with mini-fridge, microwave, toaster. 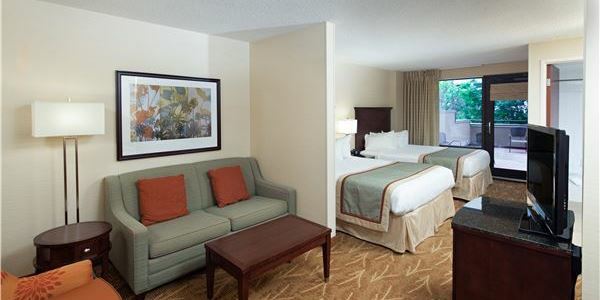 Unwind in one king bed fitted with triple-sheeting, a separate living area with sofa bed, free Wi-Fi, & ADA compliant amenities, such as extra wide doors, roll-in shower, & grab bars. Stretch out in this spacious suite fitted with two plush queen beds, a separate living area with sofa bed, flat-screen TV, free Wi-Fi, and kitchenette with small dining table for two. Step out on a private balcony and enjoy this spacious suite fitted with two queen beds, a separate living area with sofa bed, flat-screen TV, & kitchenette with dining table for two. 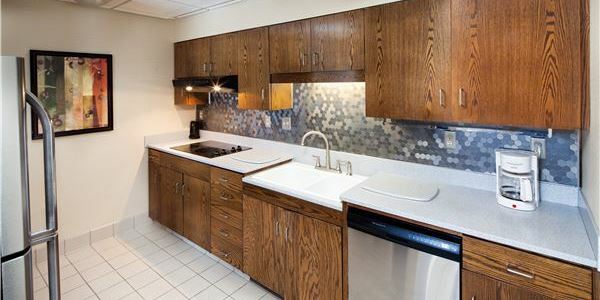 Enjoy all of our standard amenities including, flat-screen TV, free Wi-Fi, and mini-fridge, along with ADA compliant amenities like extra wide doors, roll-in shower, grab bars & lowered features. Ideal for extended stays, cook up your favorites in a full-sized kitchen and sleep well with two queen beds, a separate living area with sofa bed, flat-screen TV, and free Wi-Fi. Residentially styled with a full kitchen, make yourself at home and stretch out in two triple-sheeted queen beds, and a separate living area to kick back in front of the flat screen cable TV.